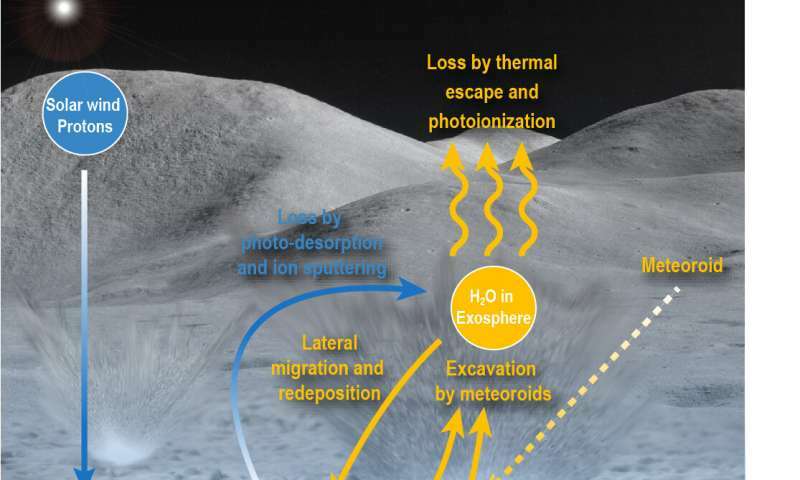 The findings will help scientists understand the history of lunar water—a potential resource for sustaining long term operations on the Moon and human exploration of deep space. Models had predicted that meteoroid impacts could release water from the Moon as a vapor, but scientists hadn't yet observed the phenomenon. "We traced most of these events to known meteoroid streams, but the really surprising part is that we also found evidence of four meteoroid streams that were previously undiscovered," said Mehdi Benna of NASA's Goddard Space Flight Center in Greenbelt, Maryland, and the University of Maryland Baltimore County. Benna is the lead author of the study, published in Nature Geoscience. LADEE, which was built and managed by NASA's Ames Research Center in California's Silicon Valley, detected the vapor using its Neutral Mass Spectrometer, an instrument built by Goddard. 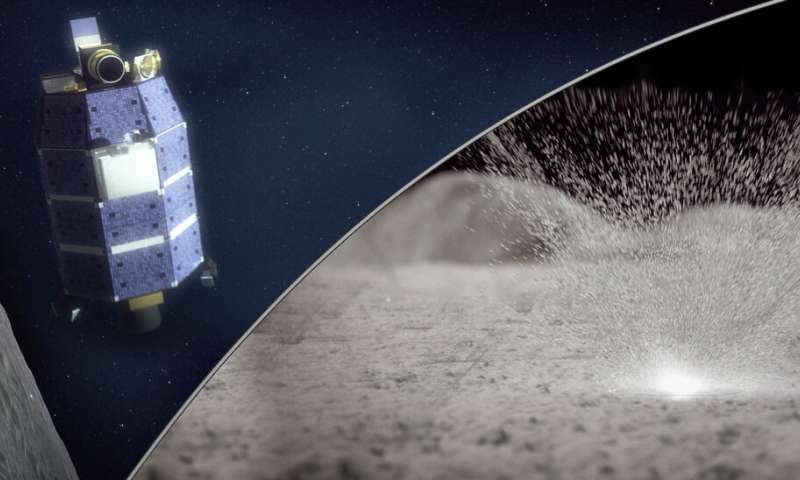 The mission orbited the Moon from October 2013 to April 2014 and gathered detailed information about the structure and composition of the lunar atmosphere, or more correctly, the "exosphere—a faint envelope of gases around the Moon. Is any of the moisture in the meteoroids themselves?